The latest Bayonne news stories from Jersey Digs, New Jersey’s leading real estate news source. A five-story building could rise where an auto service center used to operate along Avenue A in a residential Bayonne community. 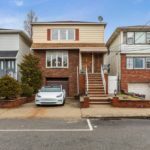 Fully renovated and situated on an oversized lot, this home offers a duplex and a two-bedroom unit. A new project with nearly 20 apartments and mechanical stacked parking has been proposed for Avenue C in Bayonne.